FC Utrecht A1 goalie Te Loeke has signed a 2-year contract at the reserves of Werder Bremen in August 2007. 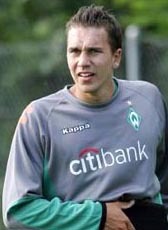 In October 2007, FC Utrecht demanded a fee for Te Loeke that was a total surprise for Werder. They thought to have signed him on a free transfer and therefore they were misleaded. The contract was not valid anymore and both teams decided to split up. His returned home and signed a contract at Cambuur until 2011. Soon his contract was extended until June 2012. In June 2012 he left the club and signed a 1-year contract with another season option at Veendam until 2013. In April 2013, Veendam went bankrupt and players were released from their contract. Te Loeke joined FC Dordrecht in August 2013 on a contract for the new season. The goalkeeper stayed at FC Dordrecht until June 2016 before signing a one-year contract at Achilles 29. In June 2017 he went for a foreign adventure signing a 1-year deal at just promoted Plymouth Argyle. The English side play their spell in League One. His foreign adventure was not successful. Because of injuries he just played two cup matches for the club. At the end of the season, still suffering from a heavy back injury, he returned home and was released from his contract. Te Loeke his chances to return to professional football after a full recovery were minimal.